For Dina Lee-Ford, farming has been a dream career. Second career, that is. Prior to acquiring the Alvin Cross Farm in Troy, which she and her partner Stephen Fleck have renamed as “Bit by Bit Farm,” she served in the military; Stephen has worked locally as a contractor. After taking a Master Gardener class with UMaine Cooperative Extension, Dina was inspired to scale up her gardening skills and put them to use by developing a commercial farm. When she realized the Alvin Cross Farm was for sale, she decided to try and make her farming dream a reality. Maine Farmland Trust helped Dina to realize that dream. 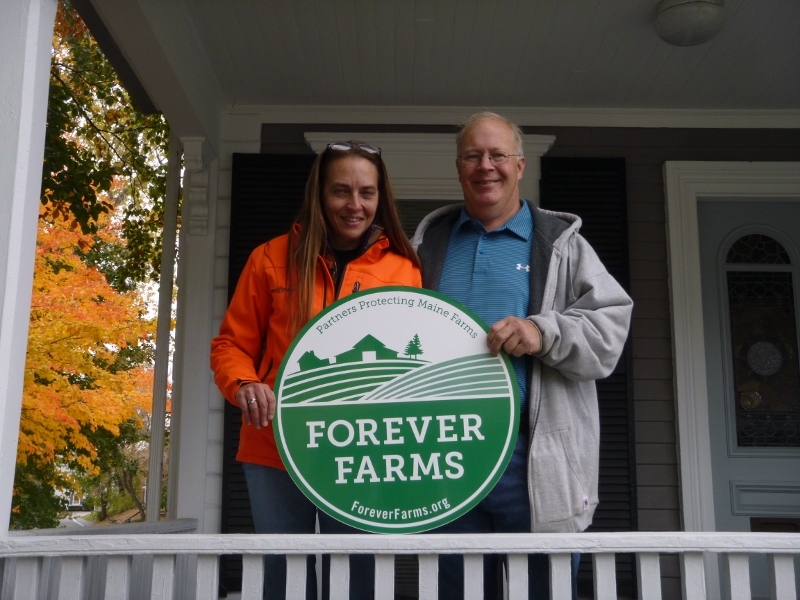 In combination with money she and Steve had been saving up and a loan from Farm Credit East’s Country Living Program, purchasing an easement on the Alvin Cross farm allowed them to finance acquisition of the property. MFT has also offered to support the development of her new business through our Farm Business Development Program. Dina and Stephen plan to restore the farm, which has lain fallow for a few years, to active agricultural use, including season-extended mixed vegetables and a small fruit orchard. Dina hopes to grow some food for hunger relief as well. The closing on October 23, 2015 added another 37 acres to three other farm easements that Maine Farmland Trust holds in the town of Troy. This property, and Dina’s energy, adds to the renaissance of farming in Waldo and the surrounding counties.